Discover a set of soothing spells, restorative rituals, and helpful hints to vanquish any worry heading your way. By applying the healing wisdom of our foremothers with their same understanding of plants, roots, teas, herbal cures, crystals, and natural remedies, Cerridwen Greenleaf brings together the best of the old ways and the new. 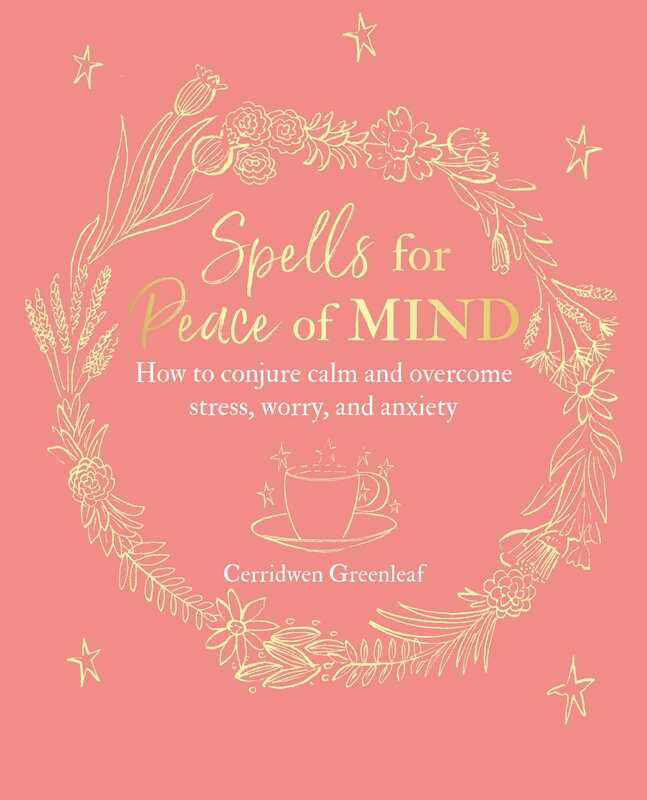 Spells for Peace of Mind is written with you in mind and includes dozens of inspired ideas for restoring serenity to your life. The easy practices and pagan prescriptions are the perfect antidote to the hurly-burly world of stress, anxiety, worry, and constant bombardment of negative news. For anyone dealing with sleeplessness, bouts of the blues, angst, and being over-busy, this book is the ideal combination of both mental and physical healing. These sacred self-care spells will take you from harried and hurried to contented and calm. Cerridwen Greenleaf has worked with many of the leading lights of the Wiccan world including Starhawk, Z Budapest, John Michael Greer, Christopher Penczak, Raymond Buckland, Luisah Teish, and many more. She has led ritual and magic workshops throughout North America. Greenleaf’s graduate work in medieval studies has given her deep insight into ancient spells she utilizes in her work, making her work unique in the field. Her latest series for Running Press, The Witches’ Spell Book series, are bestsellers, selling over 70,000 copies.